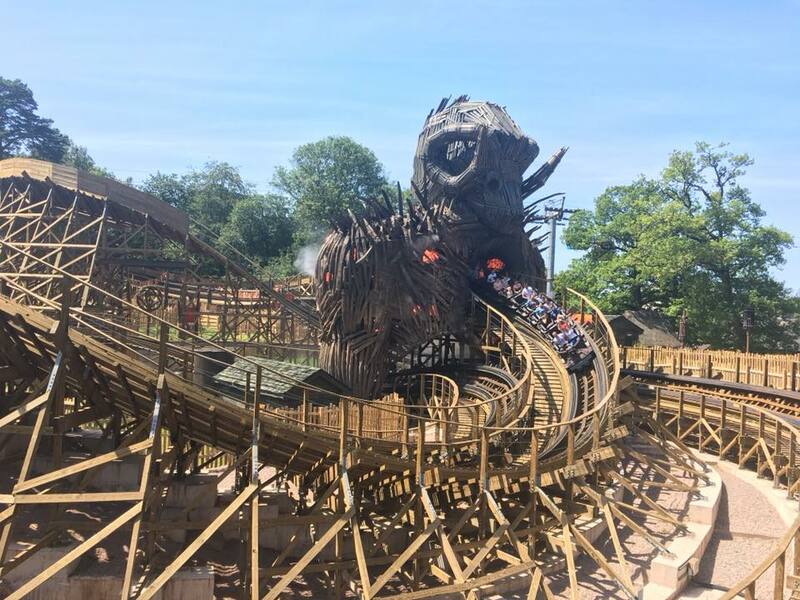 Wicker Man is a GCI Wooden Coaster, and the first newly built wooden coaster to open in the United Kingdom in 21 years. It was built at a cost of £16,000,000. It features a highest drop of 72.2 ft (22.0 m), and travels it's 2,027.5 ft (618.0 m) length over 3.30 min layout (Including time on break runs and on the lift hill) reaching a max speed of 44 mph (71 km/h). Having now ridden Wicky 18 times at the time off writing this post, I absolutely love it, and it has grown on me a lot with more rides on it, and it has over-taken my personal favourite coaster at Alton Towers which did use to be Smiler. I love the theming, and the pre-show which also helps build up my love for this coaster. I really hope the UK does get another good wooden rollercoaster by GCI, but feel like Thorpe Park would be the only park that could invest in one. I am honestly suprised that we didn't already have a topic for this fantastic coaster. It is a good ride and rides much faster than it looked in the pre-season testing. Just hope it kickstarts the British theme park industry into investing more money into wooden coasters. I honestly would love to see it kick start the UK industry to invest in new Wooden Coasters, but I just feel like the only real park that has any chance off adding a decent Wooden Coaster would be Thorpe, and if I was to guess what it could be, I'd personally feel like they'd go down the Steel/Wood hybrid route, and I would also love to see Chessie get a family thrilling wooden coaster, but I honestly doubt that would happen. The one thing I did note with Wicky, is that over the course off the day, it goers a lot faster later on in the day, and thanks to three trains it does eat it's queue quite well.